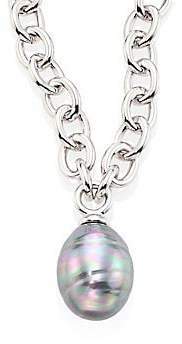 Chunky chain-link necklace with luminous pearl charm Grey baroque organic man-made pearl, 14mm Rhodium-plated stainless steel Length, 16" with 2" extender Lobster clasp Made in Spain. 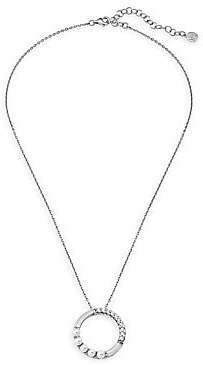 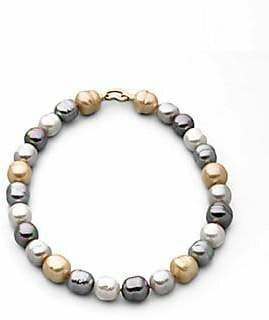 Fashion Jewelry - Majorica-fashion Coll C. Majorica. 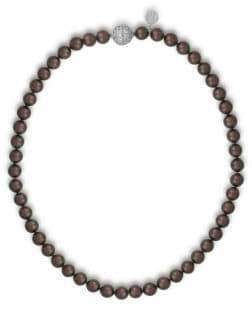 Color: Silver/Grey. 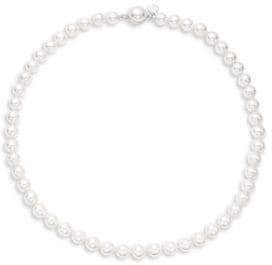 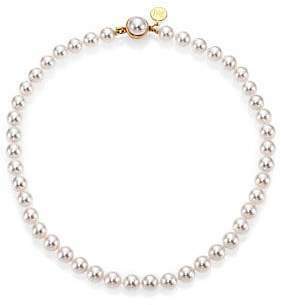 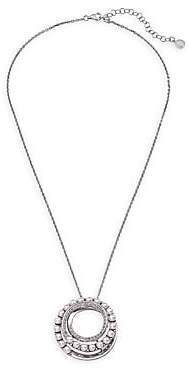 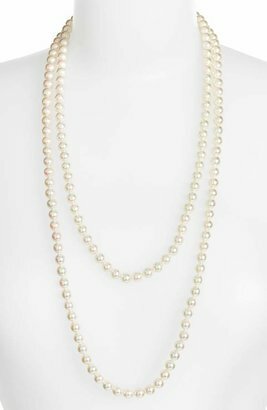 Majorica 8MM White Pearl Strand Necklace/16"